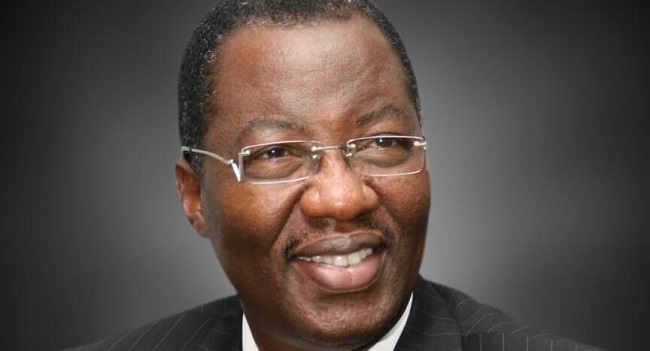 Barely 72 hours after announcing his retirement from partisan politics, Gbenga Daniel, says he is considering joining the ruling party, All Progressives Congress, APC. Daniel who worked as the Director General of the People’s Democratic Party presidential candidate, Atiku Abubakar’s campaign, said this on Sunday after a meeting with his supporters and loyalists. He said consideration to join the ruling party came at the behest of his supporters who urged him to lead them to APC, in a meeting with followers and loyalists “from across” Ogun State. The meeting held at the former governor Asoludero Court in Sagamu. Daniel’s resignation from the PDP was expressed in a March 14 letter to the party chairman, Uche Secondus and presidential candidate, Atiku Abubakar, where he declared that he did not regret any decision made while an active member and serving as DG to the Atiku Campaign Organisation. “My decision in this regard is entirely personal to me and having served in various capacities, including as Governor of Ogun State, I have resolved to immerse myself in some other vocations and take on some new challenges,” the letter read. Meanwhile, the PDP in Ogun State was confronted with a very difficult situation in matter of choice. Whereas the national leadership of our party, recognized one candidate for the 2019 election, by court pronouncements another candidate, and in compliance with those court orders, which the Independent National Electoral Commission (INEC) recognized was on the INEC list. The candidates recognized by INEC were not acceptable to the national leadership of the party. Our situation was then compounded because the candidate which the court and INEC recognized and accepted as valid has also been expelled by the party. This was the dilemma we found ourselves as we approached the March 9, 2019 Governorship and State House of Assembly elections.